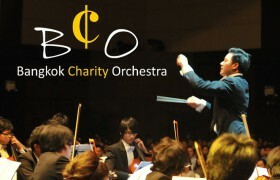 What is Bangkok Charity Orchestra (BCO)? 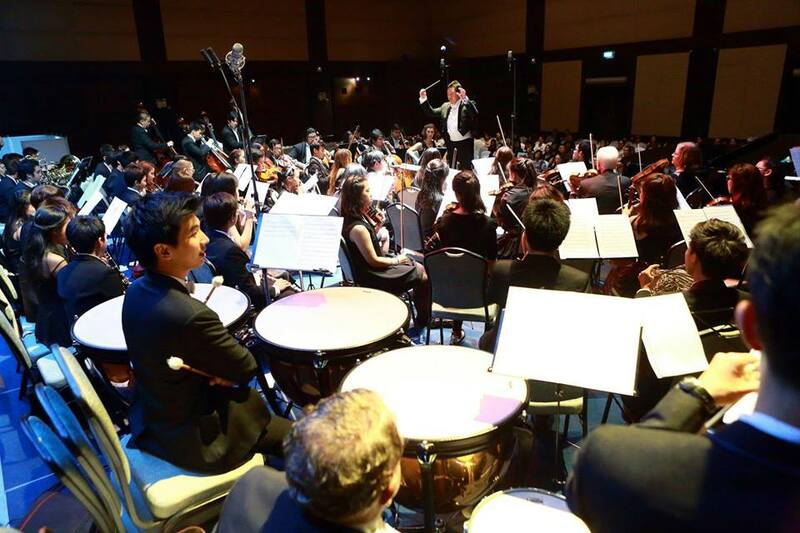 The Bangkok Charity Orchestra (BCO) is established with the aims to support well respected charities as well as to promote classical music while being a platform for aspiring musicians to perform to a high standard. 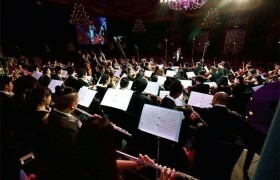 The orchestra consists of talented musicians, both music professionals and experienced amateurs. 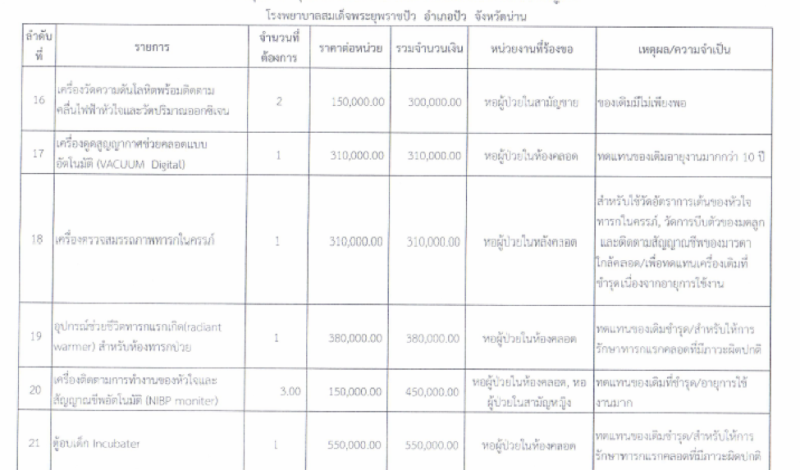 BCO has raised over 17 million Baht since 2010. The orchestra is directed by Chulayuth Lochotinan, an experienced conductor who had been involved with several fund raising concerts in the United Kingdom. 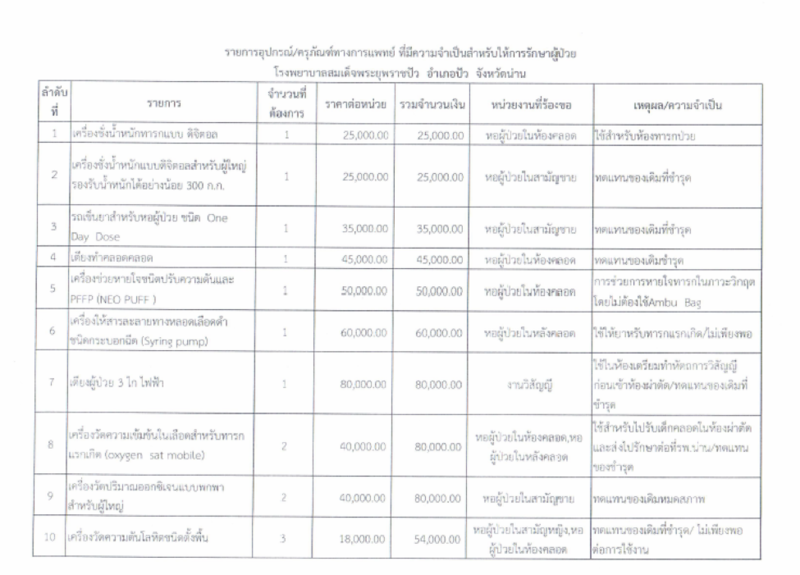 BCO is one of the Thomson Reuters Community Champion Award 2011 winners. The main objectives of the “Bangkok Charity Orchestra (BCO) Fund” is to support a variety of projects in need; with each concert raising funds for different projects throughout Thailand. What is the project that BCO is currently supporting? Pua Crown Prince Hospital is a community hospital situated in the northern part of Nan province, far from the main province hospital. The hospital does not have sufficient funding to purchase many medical equipments necessary to support increasing number of patients. The hospital also accepts patients from four smaller hospitals from other districts within the province. 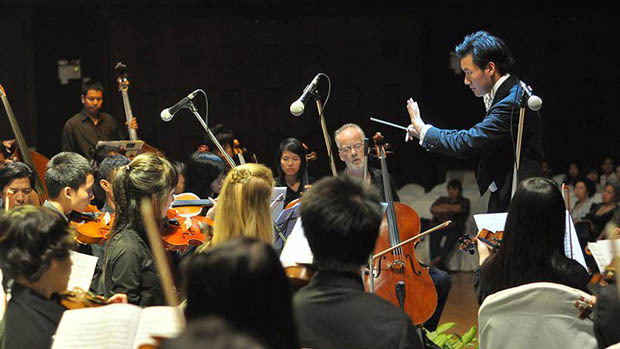 Bangkok Charity Orchestra teams up with the Rotary Club of Bangkok to raise fund to purchase necessary medical equipments and replace old/damaged equipments for Pua Crown Prince Hospital. 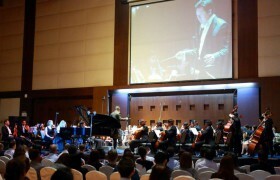 Although the project will not be able to raise sufficient fund to fully equip the hospital with all the facilities required, it is aimed to raise around 400,000 Baht to purchase necessary equipments according to the hospital’s priority through the orchestra’s fund raising concert on Saturday 2 December 2017. 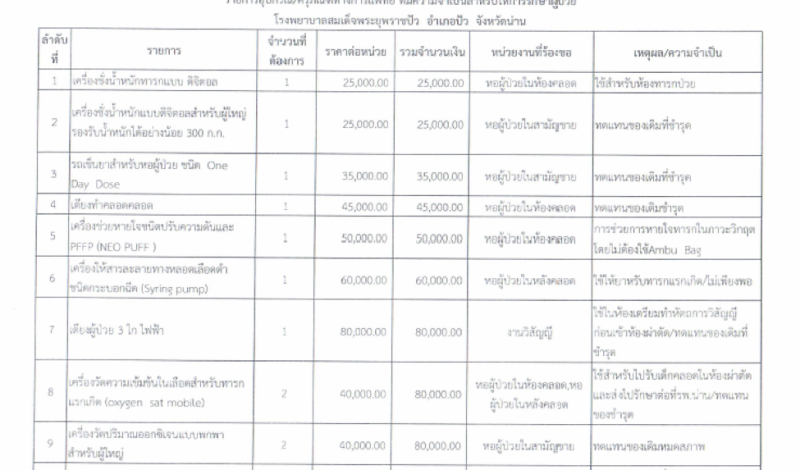 Pua Crown Prince Hospital currently accepts over 43,000 OPD and 7,000 IPD per year. This number is on an increase each year. The hospital is doing what they can with current set of equipment which is not adequate for the volume of patient it receives. Many equipments have been damaged through wear and tear over the past years and are not meeting standard. With suitable and adequate medical equipments, project will have a direct impact on the quality of health care for over 50,000 patients who are treated at the hospital in Nan province. 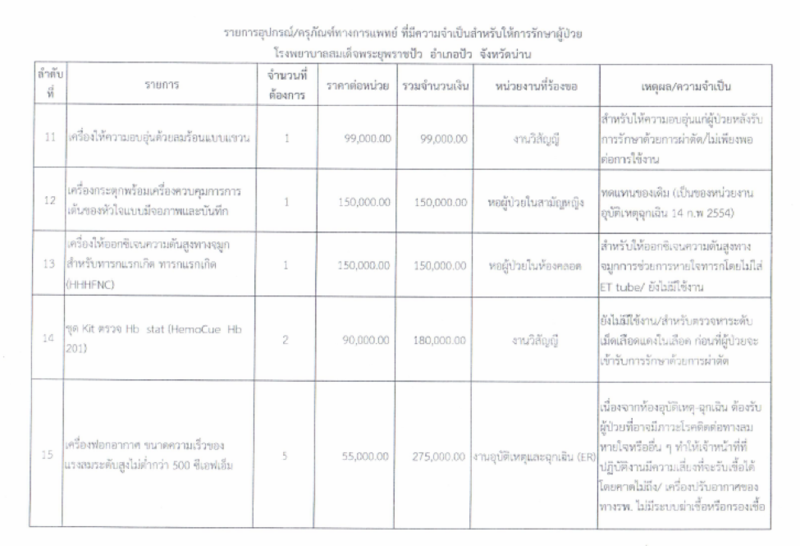 The total amount raised will be used to purchase necessary medical equipments based on priorities of the hospital. 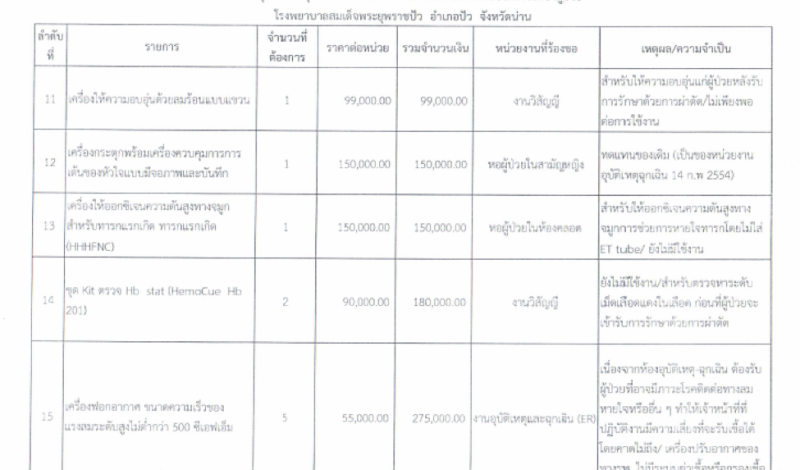 The list of medical equipments needed amounts to 3,739,000 baht. 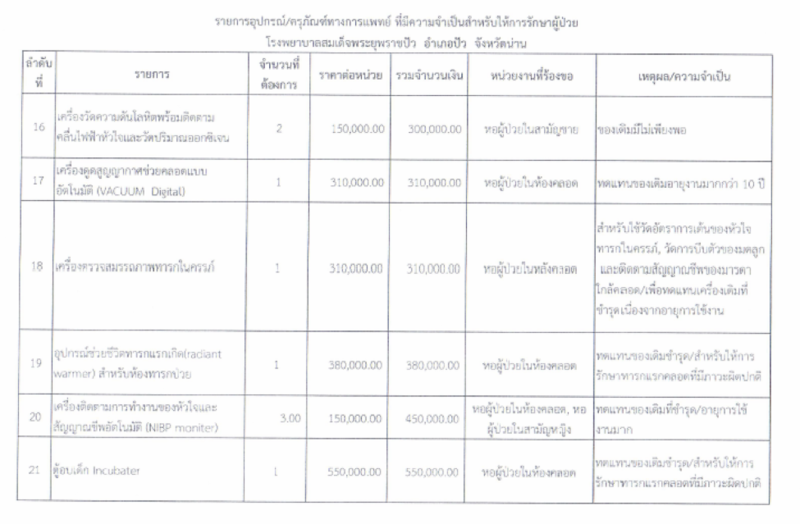 Example of key medical supply needed are: digital baby scale, hospital cart to carry one day dose pills, infusion pump, NIBP moniter, incubator, vacuum digital. 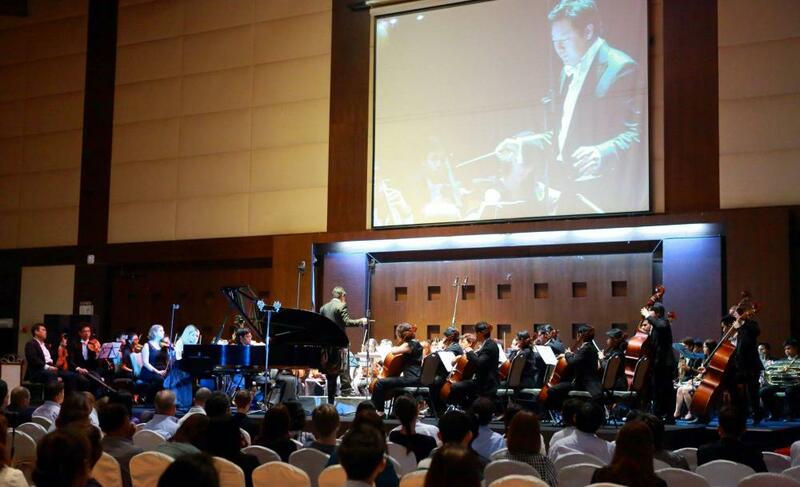 We are now fundraising for medical equipment for Pua Crown Prince Hospital in Nan Province under Bangkok Charity Orchestra fund. Please show your support by donating to the project. Meanwhile, here are some updates on the project!